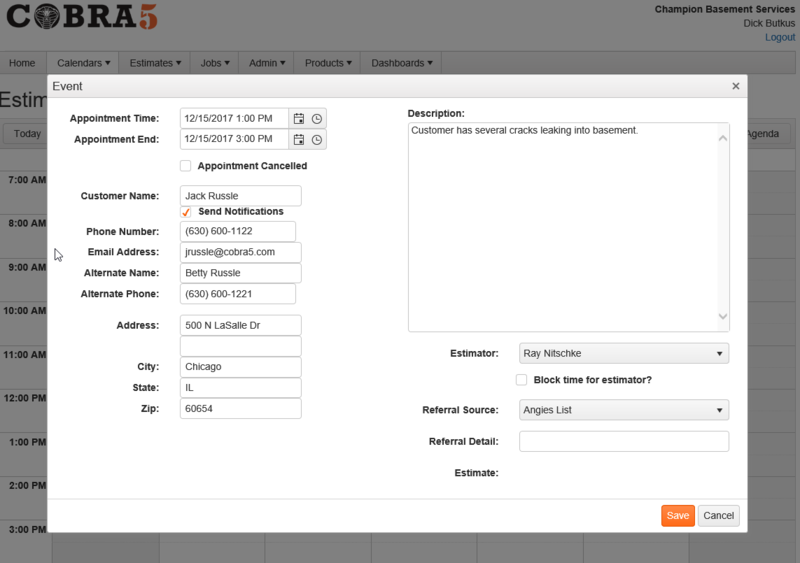 You can choose to send the customer an email notification of the appointment. The email will contain a calendar attachment so they can easily add it to their personal calendar. The system can automatically send the customer a reminder email 48 hours prior to the appointment. 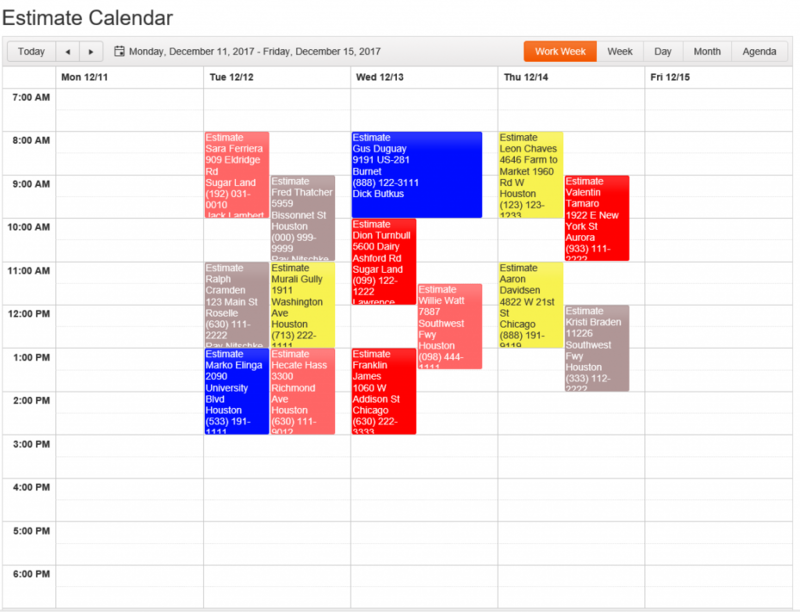 This helps minimize no-shows. While typing the address, Cobra5 automatically suggests addresses based on a Google Maps proximity search. 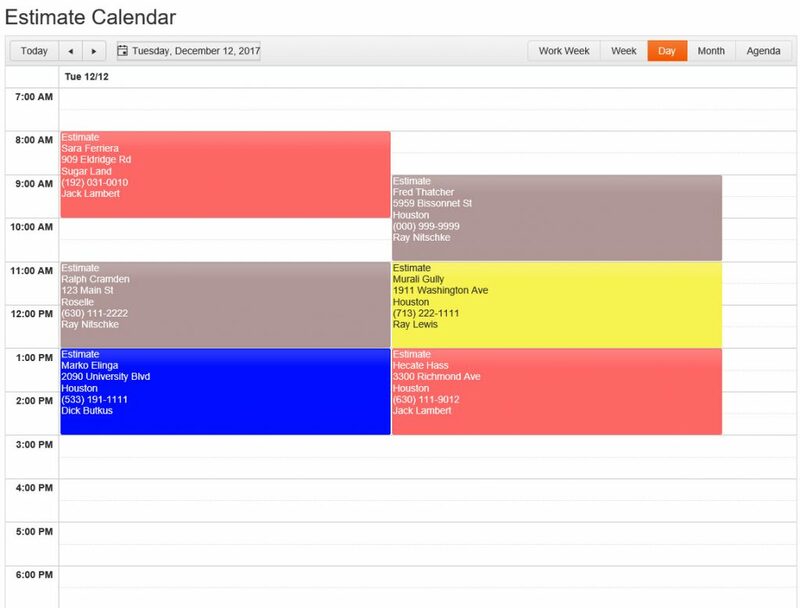 While scheduling an appointment you can specify how the customer heard about you. This helps keep track of what marketing campaigns are working. 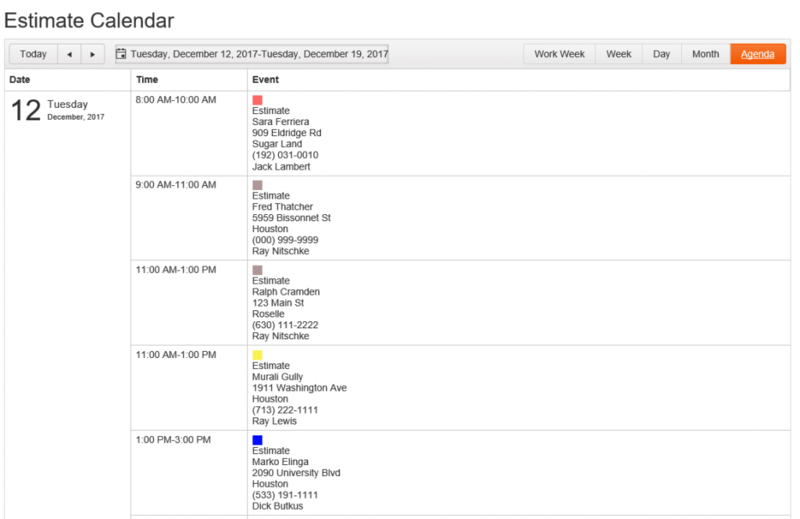 The estimate calendar color codes the appointments by estimator allowing you to see which estimators have appointments. 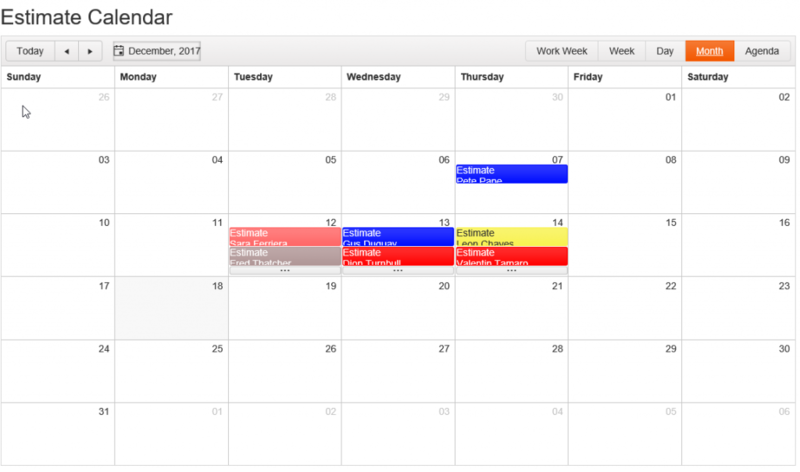 view your month, week, or day at a glance. We are so confident you will love Cobra5 we are offering a free trial. You can experience the benefits risk free for 21 days. Come see what you’re missing.